Agencies need to stop jumping at shadows trying to reinvent themselves and instead focus on being the best possible versions of themselves, according to BCM managing partner Phil McDonald. 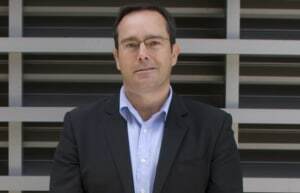 McDonald left global behemoth Y&R AUNZ, now VMLY&R, in April last year in favour of Brisbane independent agency. His move to a full-service independent agency comes as companies and large holding groups divest much of their creative and production capabilities. In March 2018, WPP pulled production and design capabilities out of main agencies, Ogilvy, JWT, Y&R and WhiteGrey, repositioning them within WPP’s production arm, Hogarth. McDonald said his move came at the right time as global networks scrabble in the wake of divesting too much, too quickly. “Legacy global networks have not been left with very much. They’ve given away a lot of their specialist skill sets to bolster other specialist brands within the portfolio. You’re now seeing that toothpaste get stuffed back in the tube,” he said. This fractionation of agency capabilities, in an attempt to specialise, has been seen by independent agencies as a rogue move, believing that clients prefer a singular vehicle with media, production, digital and data in alignment. “They’ll have a search company and a digital marketing agency and a media planning and buying agency and a creative agency; I think clients are now realising that they don’t need all that,” McDonald said. Instead, McDonald believes that a cohesive agency, formed around the concept of doubling down on the skill sets you are in possession of, before farming them out. “We jump at shadows trying to reinvent when actually what we really should be doing is being the best possible versions of ourselves first. Some really good independent agencies have gone back and stuck to their knitting and said ‘we’re just going to do great work and we’re going to produce it beautifully’ and they’ve done really well out of it,” McDonald said. McDonald’s pivot to a smaller outfit has been attributed to the across-board changes at WPP, most notably the lack of agility large holding groups tend to possess. “It’s been more difficult sitting in a big creative agency. Independent agencies seem to be able to cut the cord accordingly and a lot quicker,” he said. As for the future, McDonald doesn’t believe the titans of industry will still be reigning supreme. Instead the BCM partner suggests that we may see a new dawn of full-service creative agency with the capabilities of offering clients an aligned and cohesive package. “I don’t think you’re going to end up with the massive creative agencies or media agencies anymore. You’re going to end up with smaller, better, more quality offerings for clients, they’re the ones that will survive,” he said. Make sure you check out our print edition in February where we look at the changing shape of the agency model - sign up to get your copy here. 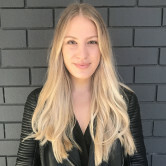 This interview forms part of our February content series on the 'Changing Nature of the Agency Model' that will explore remuneration, global pitches and different agency models. Subscribe here to get it hot off the press.